Some writers can think that today’s readers are obnoxious. Many seem to love shallow literature, and they like forgetting the point of a book the moment they finish it. That might get you thinking your style doesn’t belong to this century. WritersCafe – an online community where you can post your poetry, novels, scripts, short stories, and screenplays. The other writers will give reviews and advice for your work. WritersCafe also offers free online writing courses. Writer’s Digest Writing Forum – one of the greatest online communities of writers. You can connect with other authors and comment on different threads that serve as an endless source of inspiration. Writing.com – the place where writers of all interests and skill levels contribute towards the development of a creative writing environment. You can create your free writing portfolio and start sharing your work with the community. Unpublished writers were completely anonymous before, but not now. For example, popular sites like The Write Life and Peter Sandeen suggests the list of websites where writers can submit their entries to get published. Apart from these resources, you may find other great blogs where you can submit your guest posts for publishing for free. Just search in Google “How to submit a guest post,” and you will immediately find different guides on how to get published on great websites and get fame and popularity. Freelance writing is another way of not only getting your work published without much fuss but of earning money in an easy and pleasant way. Hemingway would have loved this job. Among some of the popular platforms where freelance writers nowadays can benefit from their talent are Upwork (Odesk and Elance in the past), and iFreelance. Apart from these freelance platforms, a writer can easily find a job at content writing or editing services, like NinjaEssays. Don't forget about advertisements, jokes and business letter writers – the world of freelance job opportunities is bigger than you have imagined before. Your work can be much more organized when you rely on online apps and tools that turn the writing process into an enjoyable activity. Daily Writing Tips is a great source of information and motivation for writers. You can explore the tips in several categories, such as fiction writing, vocabulary, writing basics, expressions, freelance writing, and more. Write or Die - if you don’t achieve the goal of writing a particular number of words within the given time, the tool will punish you by deleting the work you’ve done. Use this tool to increase your motivation and productivity level. Hemingway Editor is a mandatory online tool to use during the editing process. The software warns you about complex sentences that are hard to read. EssayMama.com is a great online assistant that offers professional editing and proofreading assistance for writers, as well as writing tips and inspirational infographics in its blog section. Try the free word count tool, writing guide and citation generator on this website. Help.Plagtracker is an online tool that gives you a detailed plagiarism report. 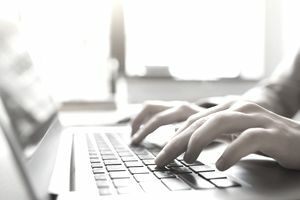 You can make sure you’re about to publish completely unique content with proper references thanks to this plagiarism detection engine. Forget about hunting interview opportunities and hiring agents who would promote your work. You live in the digital era; marketing happens online. Thanks to social media and article writing, you can easily reach out to your target readers. If you lack the finances to publish an actual book, you can distribute it in its digital form. The costs are minimal, the formatting is simple, and many readers prefer downloading eBooks on their electronic readers. Some writers seem to have a thing for criticizing. They are never completely satisfied with the circumstances they live and create in, so it’s hard for them to look at the bright side of things. In previous centuries, writers wrote letters to each other, and they waited for months for the answer. Did you know that Tolstoy and Dostoevsky never met, although they were living in the same country at the same time? That’s just wrong. Today, you can easily get connected with your favorite authors and get their advice. Online tools and services make your work much simpler, and you can easily promote the final results to a great audience. It’s time to start being grateful for the opportunities you have. Use them. Julie Petersen is a writer, a private English language tutor, and a blogger, who features the latest copywriting and marketing trends in her articles. At the present time, she is running her educational blog AskPetersen.com and working on her first ebook dedicated to online learning.